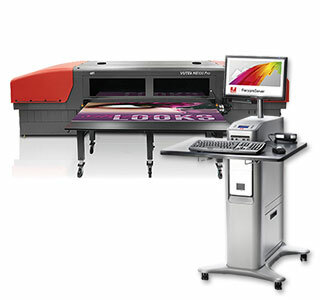 Latest EFI Fiery Wide-format products to deliver high Performance and productivity advantages. EFI has introduced the latest upgrade to its Fiery software and Fiery proServer digital front ends for wide and superwide-format production inkjet printing. The company said that the newly upgraded Fiery software and proServer streamlines graphics professionals' workflow - including major improvements in processing speeds for EFI VUTEk® printers - so they can produce more work in less time while offering better quality. The new Fiery software and Fiery proServer 6.2 bring improved performance gains to all EFI VUTEk users achieving average speed improvements of over 60 per cent compared to previous versions. EFI added that combining this latest software turbo-boost with the EFI-developed FAST RIP acceleration technology means customers using a Fiery proServer to drive their VUTEk printers can be confident they have the most productive RIP and workflow solution available for their printer. Customers also benefit from new printer drivers for Agfa, Canon®, EFI, Epson®, HP, Mimaki™ and OKI® devices in these latest Fiery product releases, increasing the supported printers in EFI's Fiery offering to more than 700 wide- and superwide-format printer models. New finishing enhancements provide have been included to deliver even smoother integration for cutters as well as faster and more flexible file processing on jobs that feature cut paths. "Graphics professionals need more than just a RIP to advance their businesses," said John Henze, vice president of marketing for EFI Fiery, "and the faster processing and automated cut path extraction technologies announced today answer our customers' need for an integrated, best-in-class workflow." Fiery proServer, the most complete and high-performance offering for VUTEk customers, features FAST RIP and EFI server hardware.With the new Fiery products, users can also establish end-to-end, automated production workflows that eliminate touch points while improving speed and accuracy. A bidirectional job definition format (JDF) link included in these upgraded products provides information about the printer status, job status and consumables usage to EFI's Midmarket Productivity Suite MIS workflow as well as to EFI Digital StoreFront® Web-to-print software. The upgrade to version 6.2 is available at no charge to all existing users who have a valid Software Maintenance & Support Agreement or an Enhanced Service Program in place. Others can acquire the products directly from EFI or from authorised channel partners. For more information about EFI Fiery products for wide- and superwide-format inkjet printing, visit www.efi.com.